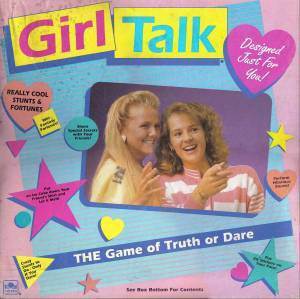 Girl Talk: You couldn't have a sleepover without it. Remember these Charm Bracelets? My favorite charm was the ping pong paddle. I loved LA Gear sneakers! The only problem was if you were wearing them and one of those flare things ripped you would go from uber cool to total loser. Every girl I knew had a Caboodle! I eventually got one for my birthday. Polly Pocket! The people who made toys in the 80/90s were genius! My brother and I would get maybe 1-3 presents max at Christmas. They were never from our parents but were from our relatives. Every year 3 families would get together on my mom's side. So when present time came around, each family would get one present for each child. Sometimes, to my indignation, all adults would conspire to just "not do the present thing" that year so then there would no presents. Though the no-present-thing got me mad, every year when I was young, Christmas was a magical time. On Christmas day I would wake up knowing we would go to church, exchange gifts with all our friends, have service, and then we would go to my aunt's house, be reunited with my cousins that I haven't seen in awhile, eat yummy food and we would have a great time. Then after dinner, we would sit around and read the Christmas story from the gospel of Matthew. Though there was a dearth in presents, we were brimming with gifts. Looking back surprisingly I'm glad my parents didn't indulge in the whole consumerism aspect of the holiday but geared our focus to the true meaning of Christmas. Now that my son is almost four he is fully aware of all the Christmas stuff like presents and Santa Claus. My husband and I did buy our kids a few great presents, we certainly want to remind them and gear their focus on the true gifts in their lives: The love of family, friends, community and celebrating the birth of Jesus. What are some of the gifts in your life?